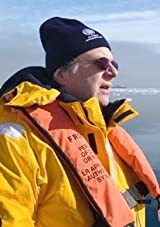 When he's not jamming with Mick Jagger or cheering on one of the professional sports teams he owns, investor and philanthropist Paul Allen spends his days exploring the world's final frontiers: outer space, the oceans, and the human brain. He and Bill Gates bonded in high school over their love of computers and went on to cofound Microsoft, the tech phenomenon that brought them both enormous riches (Forbes estimates Allen's personal fortune to be upward of $13 billion). Leaving the company in 1983 after a lymphoma diagnosis, he then experienced a 2009 recurrence of the disease that spurred him to write a memoir. 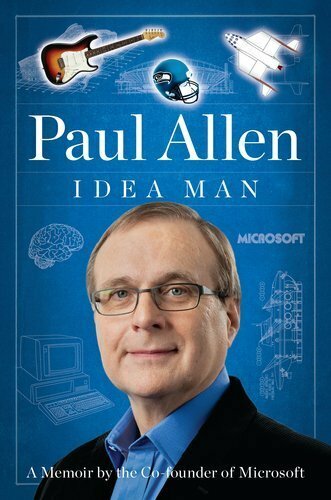 The finished product, Idea Man, includes Allen's version of the Microsoft creation story and goes on to describe his recent adventures spearheading commercial spaceflight, manning his private submarine, and cultivating neuroscience research. Allen chatted with Goodreads founder Otis Chandler about the advance of technology and how soon we can expect true artificial intelligence. Otis Chandler: Why write this book now? Paul Allen: I've had a pretty wide-ranging life, both in technology and outside of technology. I've been thinking of writing a book for a number of years, then I got a serious illness, so I thought to get it out now or I might not see it published. Working every day on the book helped me get through the treatment phase, and then I reinvoked my computer software craftsmanship to spend many, many hours going through every word of the book eight times, editing and reediting and polishing. OC: In his book Outliers Malcolm Gladwell posits that success is mostly due to hard work and circumstance—intelligence plays little part. He cites the fact that you and Bill Gates were probably two of the only teenagers with significant access to a computer at that time and argues that this access was a huge circumstantial advantage in helping you later found Microsoft. Clearly you also both had a lot of drive and worked really hard. Do you agree with Gladwell? What do you think was the biggest contributor to your success? PA: I think there is an element of truth in that we were definitely exposed and lucky to be exposed to time-share computing in high school at an age when we were amazingly attracted to it and just dove in. It was the time when microprocessor chips were just coming out. Of course there was a lot of hard work in writing that code. We wrote that first BASIC in less than a couple of months back in Boston with the third person, Monte Davidoff, who just happened to be at one of the dorms at Harvard. We said we needed a math package, and he said he'd written one. That was a lucky element, too. There's an element of luck and being there at the right time. I think my contribution with the ideas had a lot to do with my father being a librarian, my mother a schoolteacher. I was excited about using science and technology, and I was trying to look for combinations of ideas that hadn't been done before. The combination of a microprocessor and the BASIC language is one of those moments of insight that you don't have too many times in your life. Then, of course, comes the hard work. So it's a combination of all those factors. Certainly we spent thousands of hours as teenagers slaving over a hot clickety-clackety Teletype terminal that helped make us ready for what we ended up doing later. OC: Did you always know that you could use these skills to create a big company? Or were you simply geeking out and having fun as a teenager? PA: Bill had a subscription to Fortune magazine, and every once in a while he'd say, "I wonder what it's like to run a Fortune 500 company?" [laughs] I wasn't really thinking about that. His father was an attorney, so Bill was thinking about those things probably earlier than I did. I always wanted to do things in a group, like our Lakeside programming group, or in grade school I had a group of kids who dreamed of building a rocket. So there was always a teamwork element. My entrepreneurship started with the Traf-O-Data experience, which was a miserable failure, but it gave us insight into microprocessors. When we got back to Boston I kept saying we should do BASIC for a microprocessor chip. The kernel of entrepreneurial thinking must have started around '72 or '73, so by '74 we were thinking about having our own company. "Hey, if we start our own company and it's really successful, maybe we'll have 35 people." Microsoft has maybe 90,000 or 100,000 people now. When you're on that technology rocket and it takes off, you have to be ready to work really hard. I was lucky to have a partner with a complementary skill set. Bill was excited to focus on the business side of things, and I was excited to focus on where technology was going. OC: You and Bill were clearly successful cofounders, but you had some rocky times, too, which contributed to your leaving Microsoft. What should new entrepreneurs look for in a cofounder? PA: Can you solve problems together that you could not solve individually? Is there a complementary mentality, a rapport, or just sizzling energy? Among Google, Apple, Hewlett-Packard, there are many examples. Bill was a fantastic programmer. In terms of sheer programming ability, maybe I've met one or two other guys at his level. He liked to focus on the business, which I was not as attracted to and was happy to let him focus on. In many of these situations, if you read about Facebook or other companies, the dynamic of different people's contributions can become controversial over time. Usually there's one person pushing harder to assert their desire for a larger component. You have to be aware of that dynamic. OC: Much of the later part of the book is about your new interests. But I'd love to know if you are still in touch with your Microsoft roots. For example, do you still code? PA: The last time I wrote code was back in the early '80s, and we needed to write some 8086 assembler code, and I was the only person in the company who still knew how. I used to have a working knowledge of C and C++, but if you ask me about C# or the latest details of Java or how people write code now.... I am intrigued by it, but I like to concentrate more on what products do and what user interfaces are. I've tried to help define products instead of code products. I miss it because there is a real satisfaction in debugging code. I was so nervous when we shipped the IBM PC ROMs, I put all these "hooks" [which enabled any part of the BASIC code to be patched or updated from a floppy disk] in the code so if there was a flaw, I could jam something in there. It was a clever way to anticipate things being wrong. These days there is so much memory, people don't have to worry about the same level of minute detail—whether something runs 10 percent faster or not or jamming something into the smallest amount of memory. Now people have so much more freedom, it's probably a lot more fun to program. You can get your things done so much more quickly. OC: What was your favorite software language? PA: I wrote a lot of assembler code. For languages, there was a language called SAIL, which is a precursor to C, that I really liked a lot. We're talking back in the day, early '70s at Stanford. For the stuff today I couldn't tell you a favorite language, because I don't know enough to be dangerous. OC: A central tenet of your memoir is about how you like to stay up-to-date with current technology and think about what is next. You mention that mobile is the next big thing and that Microsoft should get on top of it. What makes you think that mobile will be so big? PA: It's pretty obvious now: Everybody carries at least one or multiple mobile devices. I have always been intrigued by mobile, but it has come to pass even faster than I would have thought a few years ago—the power of these devices. Once people focus on a new platform, progress is rapid. Different approaches proliferate, and then there are two to three winners in a certain area. In the last few years it's all about social. We are such social animals—everyone wants to interact, maybe they wanna follow Charlie Sheen's latest rant on Twitter. Social interactions are a huge area of growth. You can just keep talking about things that have gotten traction in the last ten years, because there are always new opportunities in technology. What's the next Facebook, Twitter, or Google? It's hard, but there will always be a replacement. OC: Along those lines, what do you think the biggest innovation in the next ten years will be? PA: I do think there are some exciting things: what we'll probably call the "Semantic Web" and, of course, artificial intelligence. I have a project [Halo-book] that I talk about in the book—the idea of [using] course material so a computer can reason about questions you ask in biology and other areas of science. I think that's a very interesting and challenging [project], but it is really hard and will take a long time. Things like that will come down the pipe. For things that affect the mass market, it's amazing how things can come from nowhere, and in a period of three, four, five years, new platforms and applications can take root. OC: It seems to me that Microsoft hasn't innovated much in recent years. Do you think big companies are capable of innovating or is that something best left to start-ups? PA: I think it happens, but obviously starting something from scratch is easier. Google is trying some things to get innovation to happen internally, and a few of their things have stuck, but most things that have been really successful for them have been acquisitions, like Android and so forth. It is hard to do something radically different. In a big company you focus on what is right in front of you, and you try to do a great job in what you have been doing and what the next version of something is. It's hard to get authorization inside a company. You can't just run off and do something radically different. Some of these companies like Microsoft have research and development arms. I try to have my own research companies, but sometimes that can end up being too academic, because if you really want something to succeed you need entrepreneurial spirit. So, it's much harder to innovate in big companies. All companies have blind spots. Google hasn't succeeded in social, Apple ignored social. You think, "We're so good at this. That other thing? Well, I guess some people in college are online doing social stuff, but if we want to, we can come up with something like that in a month." But by the time you play catch-up it is way too late. You are starting from so far behind. OC: Do you think Facebook has a blind spot? PA: Everybody does. Right now Twitter has carved out its own niche in terms of broadcasting. I am sure, at some point, Facebook will have more of a response, but will Twitter continue to dominate there? They are broadening out their offering all the time, which is what you try to do. That's what we did at Microsoft. As a big company, broaden out your offering so it covers more things that people want to do that are similar to or can draw on the expertise you already have. OC: You state in the book that you don't believe the Singularity will occur in our lifetime because it is an extremely difficult problem for a computer to understand human language. Also because we don't understand how the brain works. You are in a good position to state that, as you are working on both problems. How close are we to true artificial intelligence? PA: A long way. The history of AI has been overpromising and underdelivering. I am funding some of these things like the Halo-book effort, but talking about true AI, something even close to approaching the intelligence of a dog, much less a human being, we are so far away from that. There are two different approaches: 1) You try to figure out how the human brain works and then you try to duplicate that, but we are so far from knowing how the human brain works that you can't use that as a basis for software right now. A few people, like the Blue Brain Project in Switzerland, have tried to simulate parts of the brain, but they are very restricted. It's trying to understand how different cell areas of the brain interact with each other, not how you reason or learn things. 2) Or you can start with the pure AI approach, where you say, OK, I'm going to try to represent knowledge in computer software and then be able to ask questions, whether it is biology or some other subject. It turns out just to understand the language is a horrendously complicated thing. We don't have software that can read a book or article and say, "Hey, I've read this article, and let me just tell you the themes of the article and here's the main point." No way, not even close to that. That's many decades away. OC: So, will there ever be a Singularity? PA: So when I read about the Singularity—that everything will be solved just because chips are getting better, and we are going to implant nanobots into people that are going to be able to monitor the brain—it's almost laughable. It's ignoring the challenges involved. I call it the "complexity brake." Things are so much more complex. The complexity of the brain is awesome, and every part was designed by evolution, so it's all crafted by millions of years of evolution to do a particular thing, whatever it might be. The amygdala was crafted very precisely, so it's not like a computer that has a bunch of memory that looks all the same, and you have a CPU which has a few different elements—there's a regularity there. In the brain every little thing is a little bit different. Neuroscientists or AI researchers will tell you no way this is anytime soon. I've asked a neuroscientist, "How many Nobel prizes is it going to take before we understand the brain?" He answered between 25 and 50, but no one can tell you when those things will be given out. So who knows. It's weird to me when people say that by 2045 we will be able to download ourselves into a computer. No, I don't think so. OC: Will that ever happen? PA: Given enough time we will understand how the brain works; it is hugely complex, but it is knowable. The AI is a little bit more tough, because in pure AI you are trying to do something that works in a way similar to the brain without knowing how the brain works, but you try to figure out equivalent things. You see Watson playing Jeopardy, so you know in a particular domain you can do something interesting. But doing something that really understands human language, we are so far from that. Probably at the end of this century things will be along that path, but halfway there, a third of the way there...it's hard to say. But I'm excited about making those things happen more quickly. OC: What authors, books, or ideas have particularly influenced you? PA: Just for fun, I am a big reader of science fiction. Jack Vance I just always loved. He hasn't written anything in the past year, but just for pure science fiction enjoyment, I just always loved wry, sardonic adventure stories. More recently I've been reading Reading in the Brain by Stanislas Dehaene, about how complex it is for the brain to read and understand text. But that's just one of the many books I've been reading recently. If you start trying to understand how the brain works, you have your work cut out for you. Also reading Your Inner Fish about how evolution was a product of evolution, surprisingly. Recently I've really been enjoying reading about evolution and how the brain works. OC: You've done many amazing things in your life. What do you want your legacy to be? PA: I'm always excited about new ideas and creating things. Right now I am most excited about the work on the brain. You probably saw on the cover of The Wall Street Journal, we are releasing our first set of data on the genetics of the human brain, which was a significant project for the Brain Institute [a nonprofit Allen founded in 2003]. I am someone with diverse interests, unlike others who have a laser-like focus on one thing. I had the eight years I spent at Microsoft, then I did a number of different things in technology, philanthropy, brain research, and music. My hallmark is the breadth of things I've been interested in and my excitement about that breadth of things. OC: Oh, one last thing. I know you own the Portland Trail Blazers, but what I really want to know is, will the Lakers three-peat? PA: Oh man, those damn Lakers. Jackson is a heck of a coach. I hear this really is his last year. Because my team the Trail Blazers have been competing with them and the Spurs, you certainly hope that at some point other teams will be at the top. Someone will have to displace them. I think it's going to be a very interesting series. Whoever plays the finals this year, it's gotta be a tough series. That's all I'm saying!